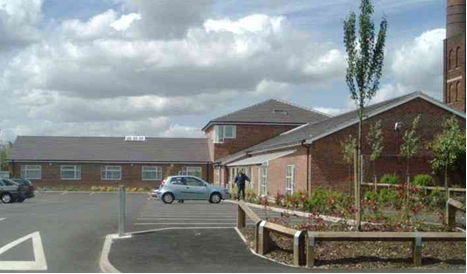 At CH Medical Practice in Chadderton the doctors and nurses take pride in offering the highest standard of patient-centred healthcare. Our aim is to improve health and well being by providing a wide range of services based on individual needs. As we are a training practice there may also be medical students or doctors working on placements at this practice when you visit. In addition to everything you need to know about the practice you will also find a wealth of health-related information in the menu on the right hand side. Please have a look around and do give us your feedback on this website. We welcome all patient suggestions and comments. Would you like to have a say about the services provided at CH Medical? If so, you should join our virtual Patient Reference Group. We would like to find out the opinions of as many patients as possible to help us make improvements at the practice. If you would like to be involved please give us your email address and we will contact you by email every now and again to ask you a question or two. The average pay for GPs working in CH Medical in the last financial year was £51005 before tax and National Insurance. This is for 1 full time GP and 6 part time GPs and 1 Locum GP who worked in the practice for more than six months. MillTown Alliance is ten GP practices across Chadderton, Werneth and Limeside; who are working collaboratively with the aim of improving patient services, community well-being and through joint working will create efficiencies that can be re invested into the local community. We are currently known as Cluster West. We are creating a not-for–profit Limited Company as a vehicle for this work and we will be called Milltown Alliance. Our community will have the best integrated health and social care based on local needs. The practices of MillTown Alliance will work in an aligned and collaborative way to provide improved health care and health outcomes to the communities we support. We seek to ensure our community receives excellent care and improved health and well-being through innovative, cost effective and evidence based care as appropriate. You will start to see our logo around the surgeries and on certain documents as we develop our collaborative working. You will be able to benefit through shared learning of best practice and improved services. We are working closely with our partners throughout the local health service, social services and voluntary sector to develop new pathways and improve existing services to enable seamless, efficient and coordinated care. We will keep you informed through your practice websites and waiting rooms, plus a central MillTown Alliance website of our projects, plans and developments which can be found at www.milltownalliance.co.uk​. We are very keen to develop a MillTown Alliance patients and partner participation group to work with us on the journey.